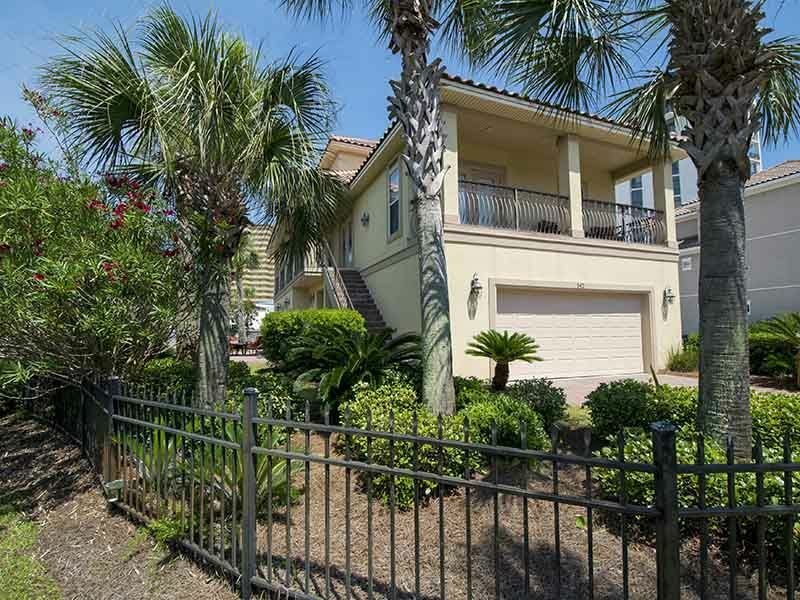 Treat yourself to a luxurious vacation in paradise and stay at Sea Breeze vacation home in Destin, Florida. This magnificent three story, six bedroom, five and a half bathroom home sleeps up to 15 people, making it the perfect location for a large family vacation or an opportunity for two families to vacation together. Just a short walk away from the beach, you can spend your days relaxing on the sugar white sand soaking up rays of sunshine or you can enjoy the private outdoor hot tub and gas grill. Along with this rental, you have access to a private gas grill, Wii console in the living room, free WiFi and TVs in almost every room. Located in the heart of Destin, you will be conveniently close to local restaurants serving fresh seafood as well as some of the best shopping in the area. I don’t like the way that only one roll of toilet paper for bathroom !! Thank you for your review. We are glad you enjoyed your stay. We do not provide toilet paper and other paper products. We do supply a packing list for guest inside the Guest Portal for future reference. We hope that you come back next summer for another great beach vacation! We are thrilled to hear you enjoyed your stay. We hope to see you again in the future! We are very pleased to hear that you enjoyed your time while staying in a Southern managed rental! We hope that you will visit the beautiful beaches of Northwest Florida soon and will choose to stay with Southern again. This was a great property. We had 3 families (2 couples & 1 single, and 5 kids), and this property had plenty of room for us. It was close to the beach and we did not have to cross a road to get to it, which was important to us because we have small kids. The pool in the neighborhood was great as well. The kids loved the hot tub that was included with this property. Over all, this rental was a great fit for us. The neighborhood was also very secure being it was gated (there was not much vehicular traffic at all), and close to everything we wanted to enjoy. We're delighted to hear you and your friends/family enjoyed this rental! We look forward to having you back and hope you have a great rest of your year! Our stay at Sea Breeze was wonderful. We had plenty of room for everyone and the area was quiet. The walk to the beach was convenient, and there is just enough view of the Gulf to stir excitement. The only disadvantage we encountered were the stairs; my mother had to plan her trips up and down to conserve her energy. All in all, it was the perfect place for out-of-town family/guests to stay in one place. We had a wonderful relaxing week with our grandsons at Sandprint Castle. It was a beautiful house and the beach in Destin is always wonderful. The boys loved having their own rooms and TV's and they wore the elevator out. I was especially grateful for the elevator because I have a bad knee. All in all it was a great experience.